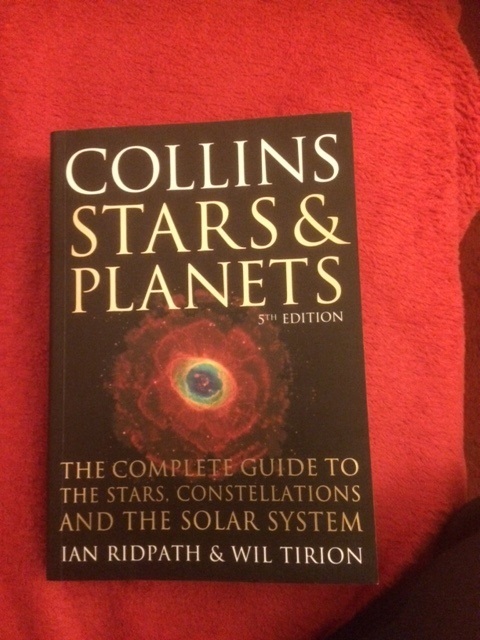 Collins Stars & Planets (5th Edition): Book Review. The new edition ( October 2017) of a favourite observing guide. The urge to study the sky transcends national boundaries, and so it should. The skies are open to us all. It’s been ten long years since I last purchased my field guide to the stars: Ian Ridpath & Wil Tirion’s 3rd edition of Stars & Planets. Travelling with me the length and breadth of the country and also on a few overseas trips, this pocket sized guide has proven indispensable for my grab and go excursions under the night sky. Alas, the wear and tear over the last decade is now definitely showing. The binding has now come loose and the pages have become heavily soiled from excessive handling. So, I figured it was high time that I got a new copy of this well received volume, and was delighted to see that it was now in its 5th edition (October 2017). Stars & Planets is the result of a fruitful collaboration between the British amateur astronomer, Ian Ridpath, and an illustrator, Wil Tirion, living in Holland. In keeping with earlier editions, the first two thirds of the work consists of comprehensive maps of the night sky (both northern and southern hemispheres being readily presented) as they appear from month to month. 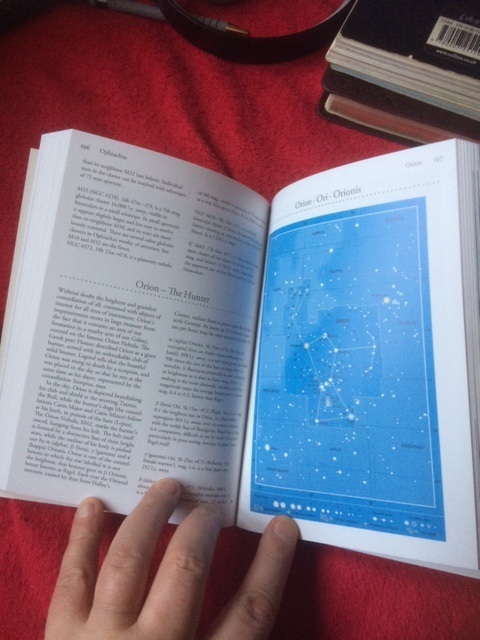 In addition you will find fairly simple maps of all 88 constellations that grace the night sky, together with a list of interesting objects; some brief mythology, as well as notes on their brightest stars and deep sky objects within reach of a small backyard telescope. The full panoply of celestial objects are represented, including a suite of pretty double stars, open clusters, emission nebulae, globular clusters, the brighter galaxies and planetary nebulae. What particularly attracted me to the earlier edition was the relative simplicity of the maps; they were clearly designed to be used in the field where they present the basic outline of each constellation, as seen with the naked eye from a reasonably dark country sky. This enables one to easily ‘star hop’ from one object to the next. Striking a balance between adequate content and clear presentation, it is ideally suited to casual observing, adopting a low tech (my particular favourite) approach. Each constellation shows the main deep sky objects accessible to an observer with a small, backyard telescope or binoculars. I was delighted to see that the latest edition retained this same format, only that the maps are now presented with noticeably better contrast against a darker blue sky background. The introduction is filled with basic but very comprehensible facts to help you make sense of how the sky ‘works,’ as well as providing excellent notes on star names (both common and the Greek lettering system), how the planets move in the sky as well as such interesting topics as precession of the equinoxes. The final one third of the book covers information on practical astronomy, including a no frills overview of telescopes and binoculars, observing double and variable stars, comets and meteorites, the Sun, and the planets, including a brief overview of sky transparency and astronomical seeing. Here you will also find a very well laid out section on lunar observing, with plainly presented maps of the particular lunar sections that can observed as it grows from a thin crescent through to full Moon. Overall, the content is ideally suited to those having small telescopes (60mm to 100mm aperture) and binoculars, with virtually all the objects being well seen with a telescope of just 6 to 8 inches in aperture. The volume is handsomely illustrated throughout, with very high quality images of a wide variety of heavenly bodies; both in the solar system and far beyond. While these are strictly not necessary in a field guide, they certainly improve the overall attractiveness of the book. My only criticism of the work is that the binding is the same as in earlier editions, and so will surely come loose with extensive handling. It would have been better to produce this with a simple ring or sewn binding for greater durability in the field. For busy grab ‘n’ go observers. Overall, I highly recommend this book as a conveniently small (for travel) but excellent field guide to the night sky that will be appreciated by either novices or seasoned observers alike. It’s strength lies with its simplicity and will keep a busy amateur happy for many years. Neil English’s ambitious new historical work, Chronicling the Golden Age of Astronomy, will be publised later this year.